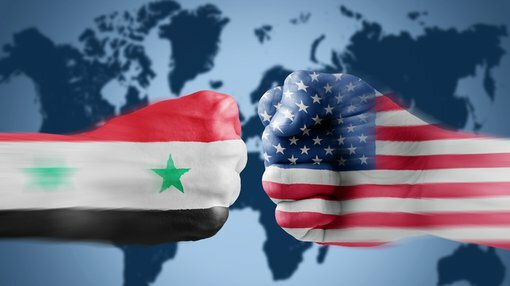 Last Thursday two US ships launched cruise missiles at a Syrian airbase, in response to a Syrian chemical weapons attack. The attack followed warnings from the Trump administration that chemical weapons attacks were an un-crossable red line for the Syrian regime. Despite this, I doubt many expected the subsequent missile strikes, with news of the strikes sending US stock market futures lower. US shares quickly levelled out, as it became clear that Syria’s powerful ally Russia would most likely overlook the attack. However, Donald Trump has since ramped up his warnings against the North Korean regime, with the rogue nation responding that they will launch a nuclear strike if provoked. Whilst North Korea is often supported by its neighbour China, the Rogue Nation’s increasingly frequent missile and nuclear weapons tests appear to be pushing away its powerful ally. This fresh round of sabre rattling has once again rattled stock markets, with most share markets failing to post any gains this week. With stock markets falling on geopolitical tensions, investors are rushing for safe haven assets. Gold and the Japanese Yen, both seen as safe stores of value, have risen to five-month highs relative to the US dollar, with the Yen yesterday recording its biggest one-day rise since January. 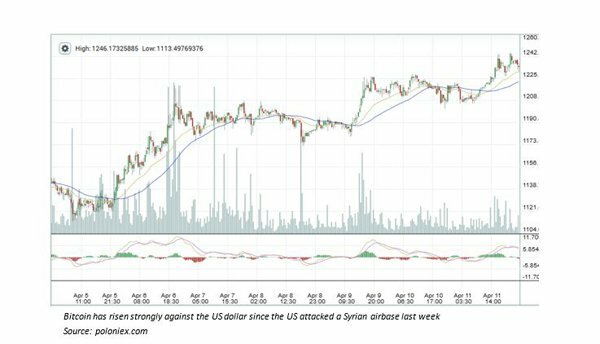 Other potential safe havens have also seen an influx of cash, with strong rises in cryptocurrencies such as Bitcoin since the missile strike on the 6th of April. Bitcoin proponents state that the currency will act increasingly as a monetary refuge, due to its relative insulation from authorities and financial markets. Another indication of market uncertainty has been the movements in the US VIX index; an index that measures volatility of the S&P 500. The index, which is referred to as the “fear index”, hit its highest level since November, highlighting the anxiety that investors are experiencing over the Trump Administration’s increasingly aggressive foreign policy. I think the Trump administration is unlikely to launch fresh strikes in the short-term unless provoked. However, the attacks were well supported in the US and led to a small increase in Trump’s approval rating. If I were a Syrian or North Korean military leader, I’d certainly be trying my best to avoid giving him an excuse.